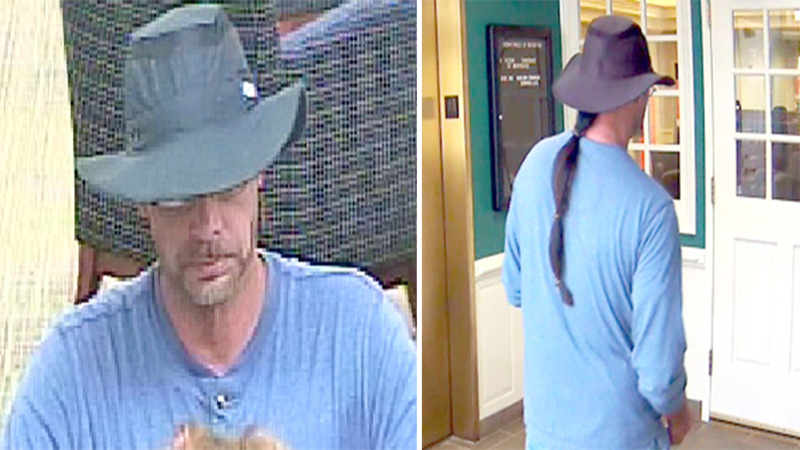 RALEIGH (WTVD) -- Raleigh police are searching for a suspect in a bank robbery on Saturday. Police said the SunTrust Bank on New Falls of Neuse road was robbed around 1 p.m.
A man entered the bank and passed a note demanding money to the teller and fled the scene after the teller complied, according to authorities. The suspect is a white male between 5 foot 5 inches and 5 foot 8 inches tall with a thin build. He also had a long, sectioned pony tail or was wearing a wig.